The yuan’s fall is a new ingredient in a cocktail of concerns that includes slowing growth in emerging economies, lower oil prices and geopolitical tensions. Copycat Asian currency moves would unleash a new wave of disinflation which central bankers are ill-equipped to battle. 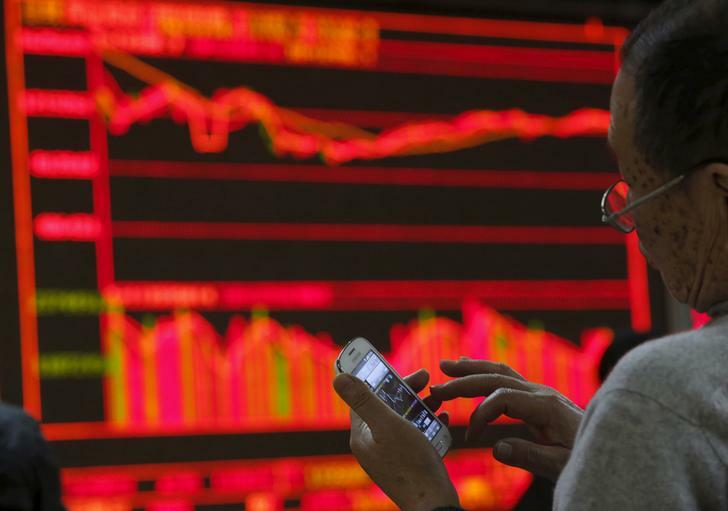 A man checks stock information on his mobile phone in front of an electronic board showing stock information at a brokerage house in Beijing, China, January 5, 2016. The People’s Bank of China on Jan. 7 set the official midpoint rate on the yuan at 6.5646 per dollar, the lowest since March 2011 and 0.5 percent weaker than the previous day. This was the biggest daily fall since August 2015, when China unexpectedly devalued its currency by nearly 2 percent. Global equities fell on Jan. 7, with the pan-European FTSEurofirst 300 index down 3.4 percent at 1322 GMT.